Ariel 6 (UK 6) was the sixth and last satellite in the Ariel series. This satellite was launched on 2 June 1979, into a near-circular 625-km, 55-deg inclination orbit. The objective of this mission was to undertake studies in high-energy astrophysics. Two X-ray experiments, one cosmic-ray experiment, and three technology experiments were carried. 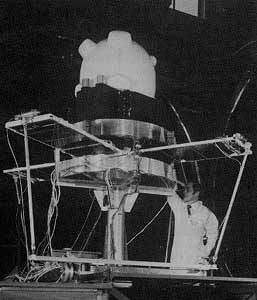 The spacecraft was spin stabilized, with the spin axis commanded into a sequence of orientations to accommodate the X-ray experiment requirements.